Those of our guests arriving by car can be assured of their automobile's security whilst housed in the hotel's underground in-built garage. 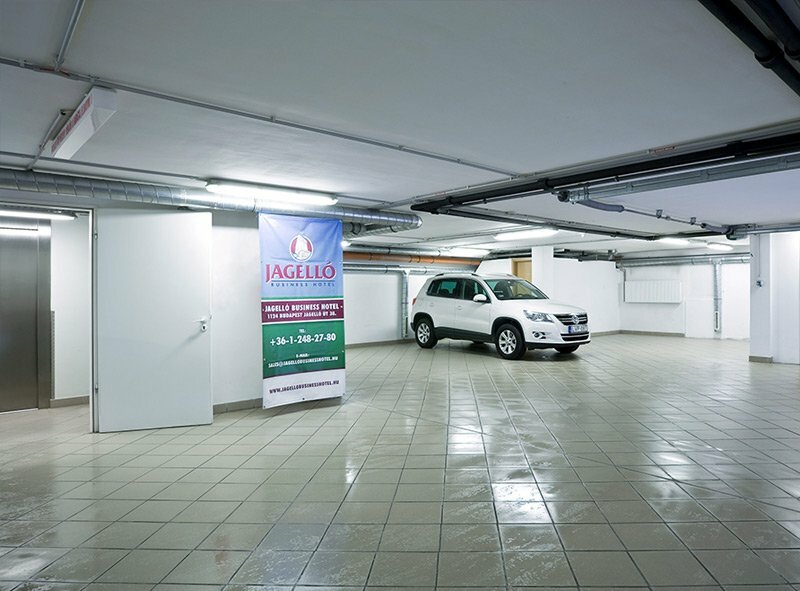 From the garage the Jagello Hotel's lobby can be easily reached by lift operating between the hotel rooms and the garage level. The garage is fitted with the very latest CO2 detector and fire-fighting equipment. It also boasts 24 hour video close circuit surveillance equipment to guarantee your car's safety. In case there is no free place in our garage, we offer you the garage of the Larus Conference Center (in front of the hotel), 24 hour fee per automobile is 10 €.